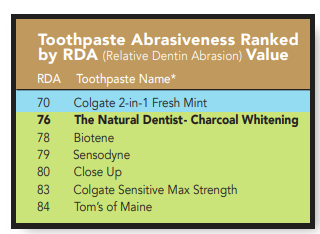 Dental professionals will tell you there is a risk of over-abrasivity when you use products designed for extra whitening, like charcoal toothpaste. And that harsh abrasives can cause lasting damage to your tooth enamel. It is for this reason that The American Dental Association places an upper limit of 250 on a test it uses to measure abrasivity. The measure is known as RDA (Relative Dentin Abrasivity). This makes our Charcoal Whitening Toothpaste safe for everyday use. 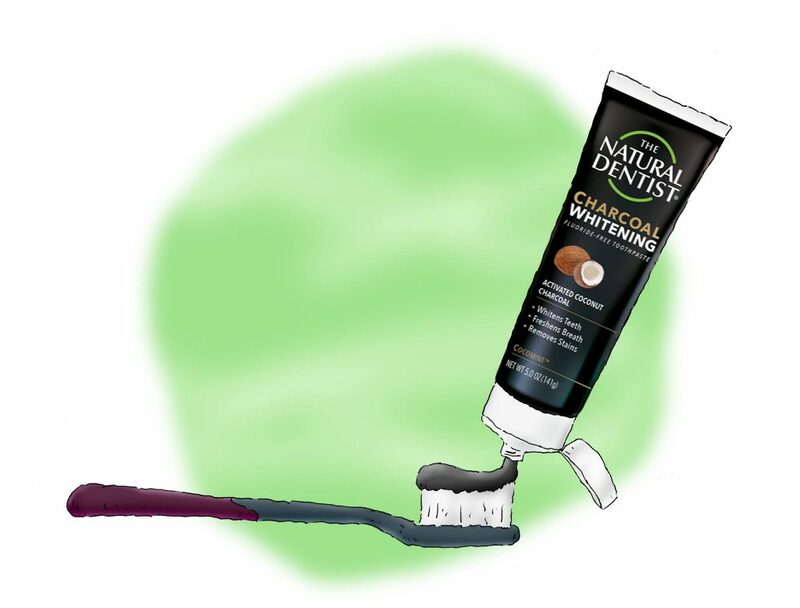 The Natural Dentist Charcoal Whitening Toothpaste uses only activated charcoal that comes from coconut husks that have been burned, purified, activated and ground into a fine powder. The toothpaste base uses selectively sourced gentle, natural ingredients and botanicals chosen specifically for their proven therapeutic benefits. Echinacea, goldenseal, calendula and, of course, soothing, healing Aloe vera top that list. Also, the product contains no harsh ingredients that can irritate your mouth. That means no artificial sweeteners, flavors or dyes and, most particularly, no sodium lauryl sulfate (SLS). Nor does it include sodium fluoride. Finally, its unique cocomint flavor is a pleasant-tasting combination of coconut and mint.